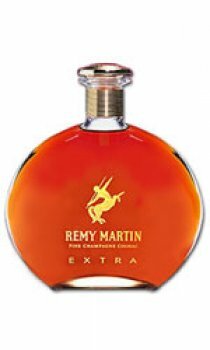 Remy Martin Extra is a rare and refined cognac. The feminine outline of the decanter attracts the senses of touch and smell as would a delicate perfume. Remy Martin Extra is a precious and ideal gift for oneself, for him or for her. Colour: Very Attractive and rich mahogany hue. First Nose: Jasmine, tawny port, cigar box, curry, saffron. Second Nose: Narcissus, dried candied fruits, cedar wood, nutmeg. Palate: Very concentrated, warm, harmonious, high complexity. Finish: 15-20 Minutes. Extremely long, distinctive, daring.